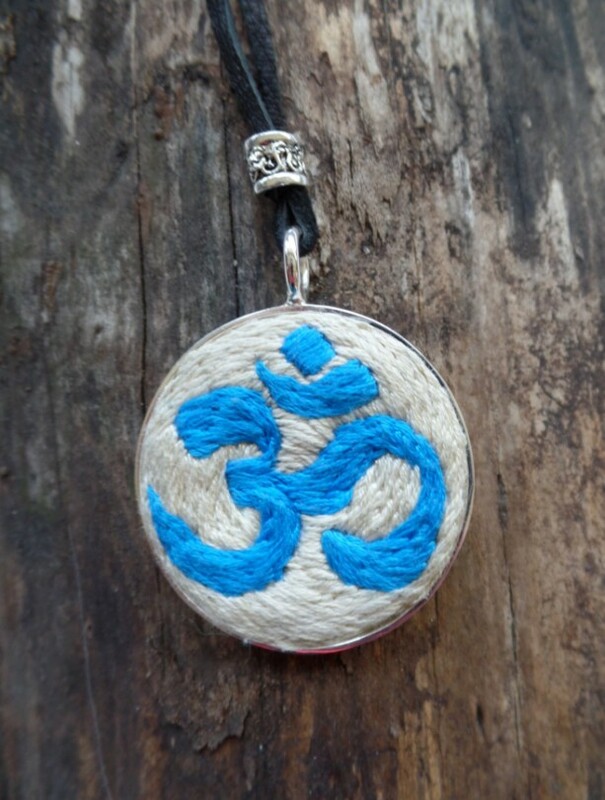 "OM is the whole universe coalesced into a single sound and represents the union of mind, body, and spirit." 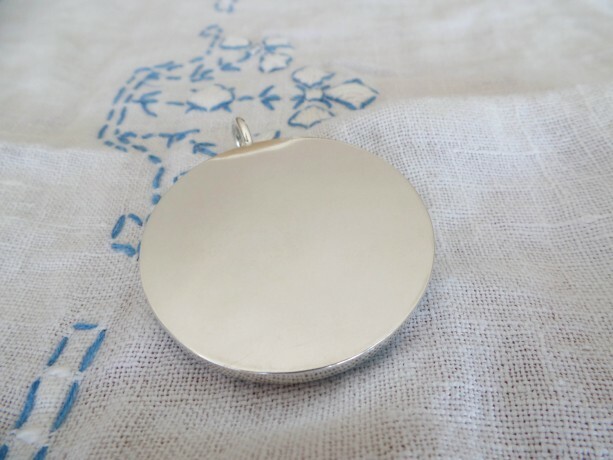 There is something about this symbol of mindfulness paired with the meditative act of embroidery that seems almost pre-destined. 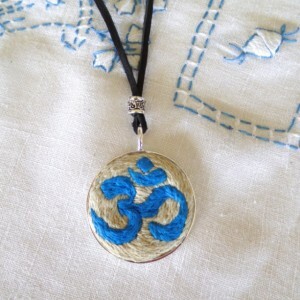 This OM pendant is in blue and cream. 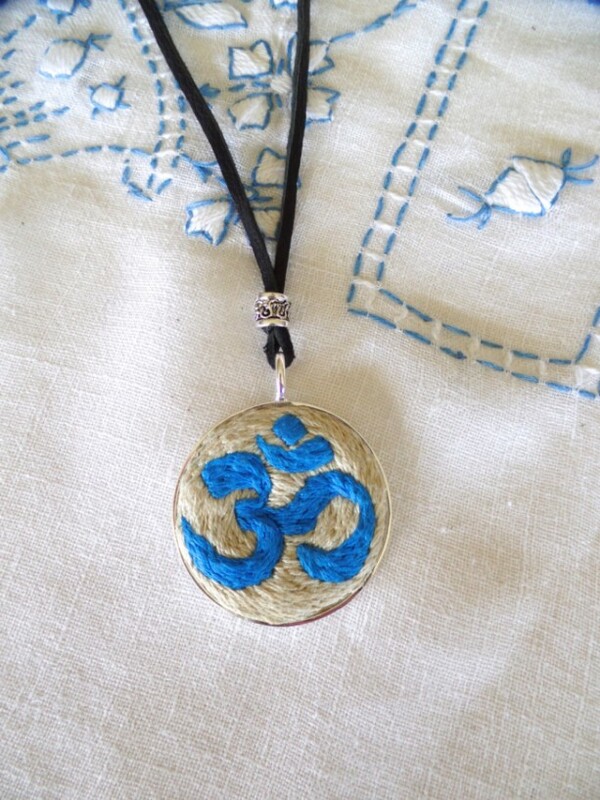 Blue is the color in the chakras used to soothe the soul. 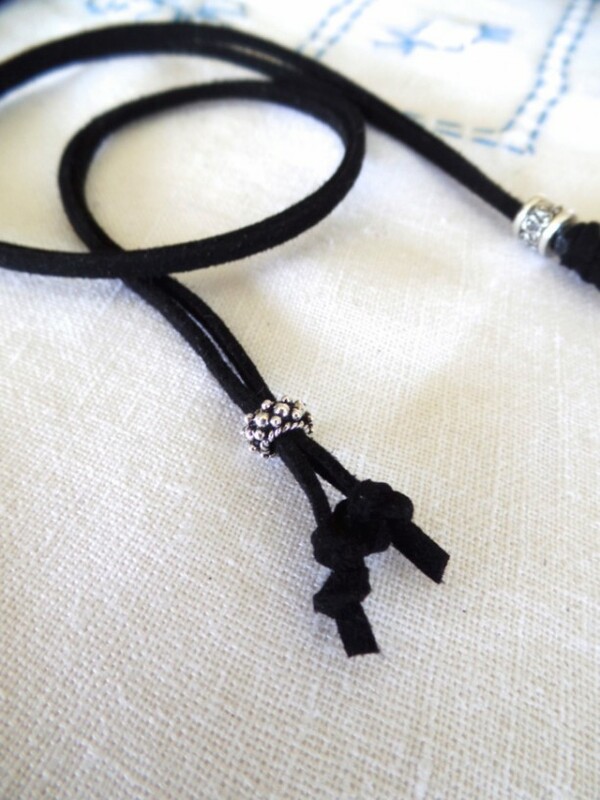 I can't think of a lovelier message to wear. 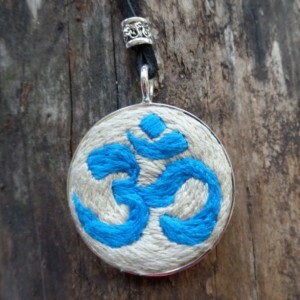 I will be creating OM pendants in all 7 colors of the chakras. 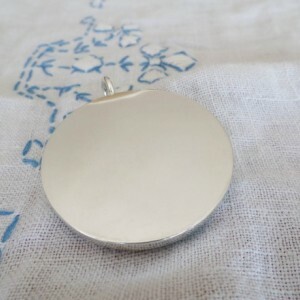 This necklace is set in a 43mm silver round bezel with a black 36" deerskin adjustable cord accented with a silver bead.